ProPresenter 6 is a worship and presentation software designed for Mac and Windows users. Its features include cloud synchronization, file import and export, mobile remote control, multiple screen support, built-in bibles, real-time editing, video effects, text reflow editor, and more. In this article, we cover ProPresenter 6 reviews and pricing. Visit its website. Users who gave ProPresenter 6 a positive review said that it can import and support a wide range of media types, such as video, photo, text, and fonts. They also shared that operating the software is intuitive and easy to learn. One user who gave ProPresenter 6 a positive review on G2 Crowd said that her team members have understood how the platform works within three times of use. She added that it has tutorial videos which make familiarization with the features faster. She also shared that the customer support team was helpful and thorough in making sure her inquiries were answered. Users who gave ProPresenter 6 a negative review complained that the software often freezes and encounters glitches. They also reported that online synchronization is inconsistent across multiple devices. 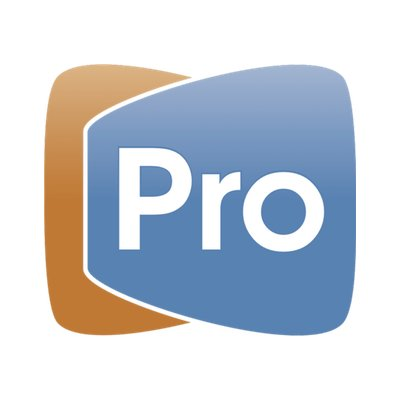 One user who gave ProPresenter 6 a negative review on Capterra said that it lags frequently and freezes, especially when the software is installing updates. He also added that it has compatibility issues with his computer after several software updates. ProPresenter 6 pricing for businesses, schools, and government ranges from $399 to $4,488 per license depending on the number of “seats” or computers. Discounts also apply for users who are upgrading from ProPresenter 5. Various add-ons such as Bible translations, multi-screen module, MIDI module, communications module, and others are also offered at $15 to $999. House of Worship licensing is offered to churches and religious organizations. The Single License costs $399, while the Campus License costs $799. Ready to get started with ProPresenter 6? Visit its website. Can ProPresenter 6 users import and export files into the platform? ProPresenter 6 can import videos and photos. As for exports, it can render created files like text files, images, and output video recordings. Can ProPresenter 6 users create graphics using the platform? ProPresenter 6’s text reflow editor enables users to build slides with customized shapes, text, photos, videos, and HTML5 web pages. Have you read these ProPresenter 6 reviews and are still not sure if it’s the right fit for you? Read our reviews of all top presentation software or check out one of these three ProPresenter 6 competitors.